Learn how the most successful modern companies leverage customer behavior data and analytics to drive customer acquisition, retention & growth, and why you should too. According to research cited by McKinsey, organizations that leverage customer behavior data to generate behavioral insights outperform peers by 85 percent in sales growth and more than 25 percent in gross margin. Look no further than Amazon, Netflix and Google—all of whom have built their entire respective empires around a nucleus of customer behavior data and analytics. In a digital world where customer-centricity, personalization, and customer experience separate the winners from the losers, it’s no coincidence that these companies thrive. Before long, it will grow increasingly difficult to compete in any industry for those who are too slow to follow in their customer-centric, behavioral data-driven footsteps. And yet, it’s amazing how many organizations still only take advantage of a mere fraction of the behavioral data at their fingertips. You don’t need to be an internet giant in order to leverage the power of behavioral customer data and analytics to take your business to the next level. In fact, with the right knowledge and tools, any organization can do it. B2B, B2C, regardless of industry or size. In this post, I’ll bring you up to speed on why customer behavior data is so important today, how it can be used to drive results, and why every company needs to adopt this approach. Why is Customer Behavior Data so Important Today? Before the digital age, back when traditional one-way mass marketing communication was not only still a thing, but the only thing, personalization and customer experience didn’t really matter so much. Back then, companies could get away with segmenting customers using primarily demographic and firmographic traits such as age, gender, income, ethnicity, occupation, industry, company size, geographic location etc. In other words, focusing exclusively on the who. Of course, there’s no arguing the importance of understanding who your customers are. Today, developing customer personas and ideal customer profiles are undoubtedly vital practices for understanding our target customers and for effective customer journey mapping. 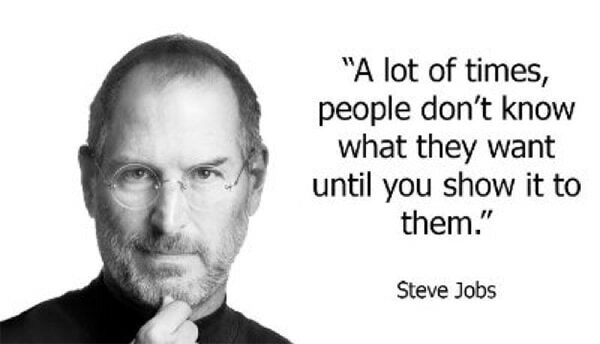 But in the customer-centric world we live in today, just understanding “who” your customers are doesn’t cut it. As a 30-year-old male die hard Downton Abbey fan, this quote certainly rings true for me. You can’t possibly make assumptions on individual customers’ interests, needs, wants or values based purely upon who they are, or any “persona” you’ve assigned to them based only on demographic or qualitative characteristics. Instead, companies like Netflix, Amazon and Google know that the key to understanding their customers can lie more in what they do; that quantitative insights revealed through their behaviors can paint a much more accurate picture of what their customers want and need, and how and when to best deliver it to them. 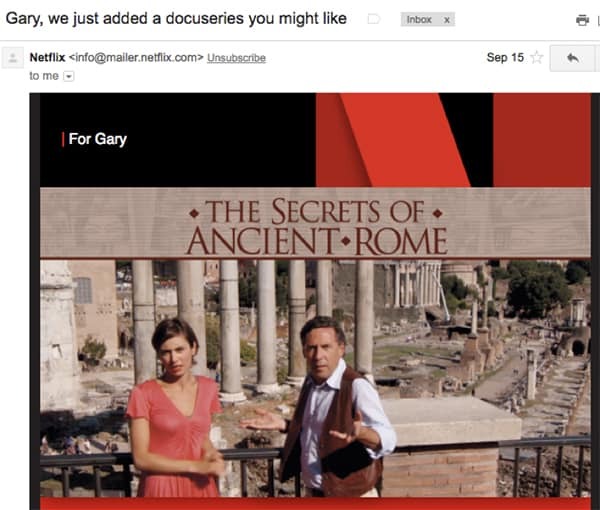 When you think about the Netflix and Amazon customer experience, the first thing that probably comes to mind is their prolific use of personal recommendations. Fueled almost entirely by customer behavior data, their advanced recommendation engine algorithms are designed to serve customers dynamically personalized content and product suggestions based upon each customer’s past behavior. 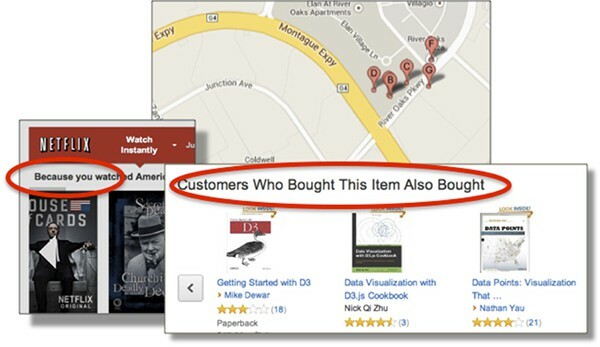 Just how effective are these customer behavior-based recommendation engines? I’d say it’s working out pretty well for them. But as insanely effective as it is, personalization is just one (incredibly lucrative) use case for how these digital age titans are using behavioral customer data and analytics. Today, leading companies are increasingly thinking in terms of end-to-end customer journeys. They’re using data to understand and segment customers by their behavior to improve customer experience and deliver real business value, as I’ll discuss in more detail next. From customer acquisition to customer retention and loyalty, wherever the opportunities or challenges may lie, cutting-edge modern organizations use customer behavior data to bring them to light. To understand why behavioral data is such an effective asset for customer acquisition, it makes sense to first take a quick look at some of the top challenges marketers face today. 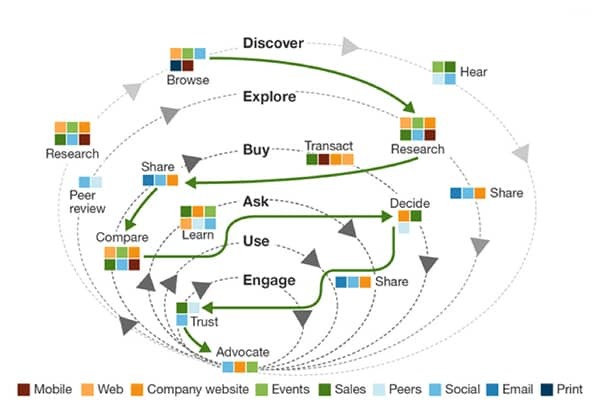 The modern customer journey is incredibly complex. The path to purchase typically involves many different touchpoints across multiple channels, over an extended period of time that can often span weeks, months or in some cases even years. Salesforce’s 2017 State of Marketing Report found that 67% percent of marketing leaders say creating a connected customer journey across all touchpoints and channels is critical to the success of their overall marketing strategy. However, the report also shed light on the fact that this is much easier said than done. For most marketers, 51% of campaign messages are still identical broadcasts from one channel to the next. The majority of marketers also struggle to effectively align teams and strategies with the customer journey, citing difficulties such as; lacking a single view of the customer, fragmented data sources, and budgetary constraints as top obstacles getting in the way. This complex, multi-channel, multi-touchpoint, time-spanning journey is also driven almost entirely by the individual customer, whose motivations, needs, values and requirements can differ completely from those of the customer to their right and to their left traveling along the same path; all of whom demand personalization. Between the complexity of getting aligned with the customer journey, and customers’ increasingly high expectations for personalization and customer experience, this creates quite the daunting challenge for today’s marketer, to say the least. 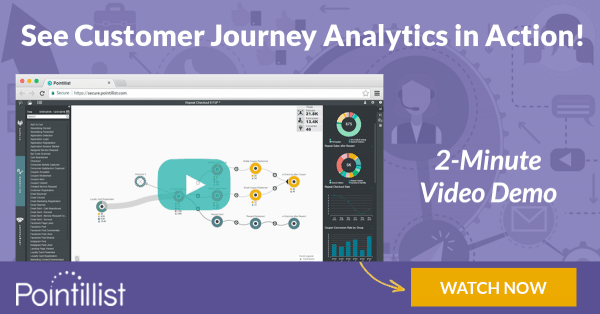 Many marketers are turning to behavioral data-driven approaches like customer journey analytics because it was specifically designed to solve these exact problems, unlike traditional methods and tools. 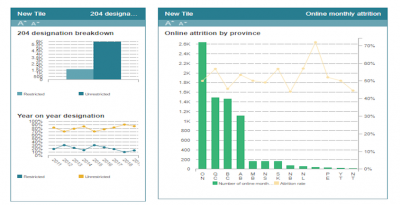 More touchpoints mean more data points. Over time, the more customers travel along the path to purchase and more successes and failures occur along the way, patterns in behavioral data emerge to explain why those successes and failures happened, and why certain outcomes were reached for some and not for others. 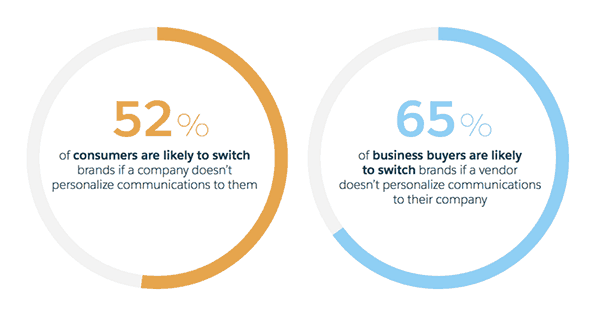 Optimize the path to purchase through personalization. Make sure the offers and messages for key customer segments are aligned with their most important purchase decision drivers, increasing conversions and successful outcomes at key interaction points across the path to purchase. Clone your high value customers. Target and acquire more customers that exhibit similar behavior as your most profitable customers, and that are most likely to follow in their footsteps across the path to purchase. That’s like being able to go to a racetrack and bet on the horses with the greatest odds AND the highest pay-offs. Who wouldn’t take that bet?! 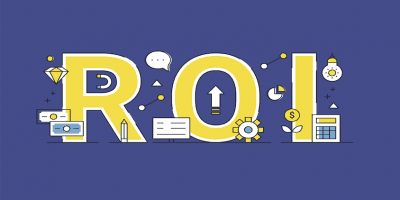 Last but not least, improve ROI and reduce customer acquisition costs by investing in the most effective channels, programs and initiatives for successfully advancing different customer segments through the path to purchase. 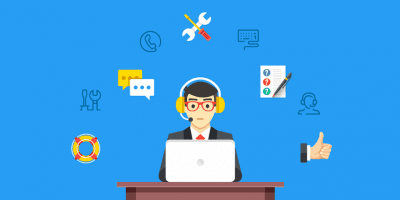 According to research by Esteban Kolsky, 67% of customers report bad experiences as a reason for churn, but only 1 out of 26 unhappy customers complain. 91% of those unhappy non-complainers simply leave. Of the few that do actually complain, by the time they get around to it, it’s often already too late. 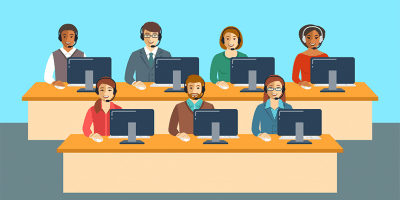 The lesson here is that you can’t rely on your customers to raise a red flag in order to accurately gauge customer experience, satisfaction, or to predict churn and retention. 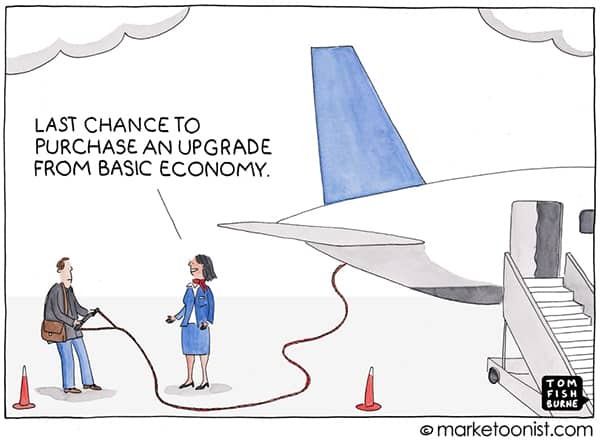 Not receiving enough value from a product or service can be another leading cause of churn that customers often won’t complain about, and that can be difficult to detect. Without customer behavior analytics and segmentation, that is. Let’s look at an example of how Netflix has been able to utilize this incredibly effectively. 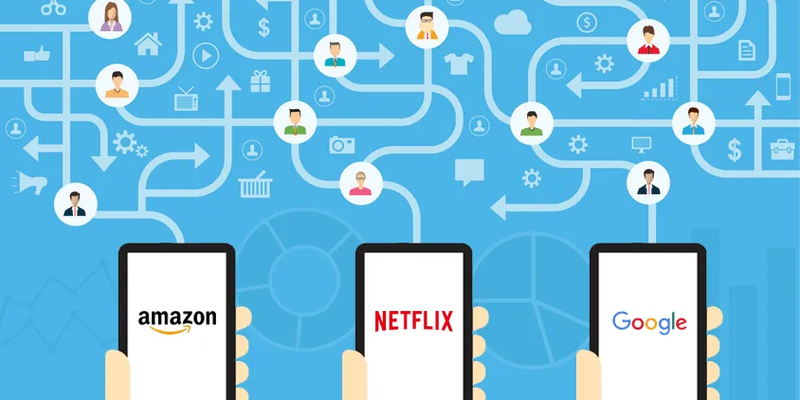 Leveraging behavioral customer data and analytics, Netflix is able to pinpoint the amount of usage activity an individual customer needs each month in order to receive enough value to continue subscribing. If a customer’s monthly content consumption falls below that threshold, the likelihood of them churning skyrockets. By creating a behavioral segment for all customers that fall below the minimum product usage value threshold, Netflix is able to easily identify at-risk customers, discover insights that can lead to low usage, and monitor this over time. 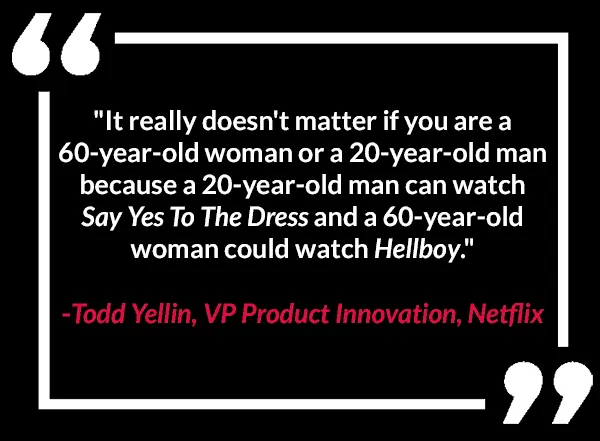 With this insight, Netflix knew they needed to find more ways to keep users engaged and consuming more content each month. They launched a series of initiatives to improve their recommendation algorithms and find new opportunities and channels to provide personalized content recommendations based on user interest behavior. These recommendations would be delivered to users inside the product, as well as through targeted email campaigns and push notifications. 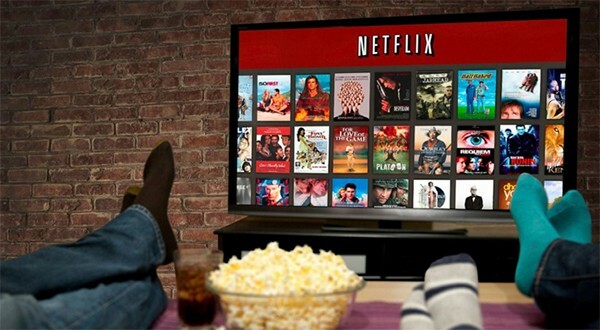 Netflix also uses customer behavior data to make decisions on what content to produce and license, which also helps them to prevent churn, as well as improve customer acquisition. As a result of these efforts, Netflix has significantly reduced their churn rate to a point substantially below that of many of their top competitors. In addition to increasing the lifetime value of their customers, this also allows Netflix to spend more on customer acquisition, while having to acquire less new customers in order to backfill those that do churn. Netflix executives estimate that this saves the company $1Billion a year. As I discussed in the previous section, many customers do not complain when they are having negative experiences. Similarly, you can’t rely on customers to proactively let you know when it’s a good time to sell them something. 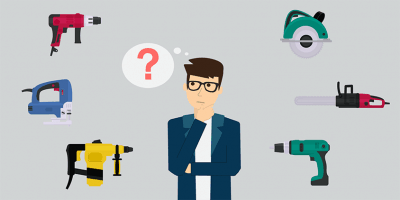 Individual customers may have a higher likelihood of converting on particular cross-sell, up-sell or repeat purchase offers at certain times, but they might not know that you have something they want, and often don’t even know exactly what it is they want themselves. Of course, the key is to introduce the right offers to the right customers at the right times, not everything to everyone all the time. How Do You Know Which Offers To Show Which Customers and When? The answer to knowing which offers to show to which customers (and when) can be found in customer behavior data. When it comes to up-sell and cross-sell, few companies do this better than Amazon. 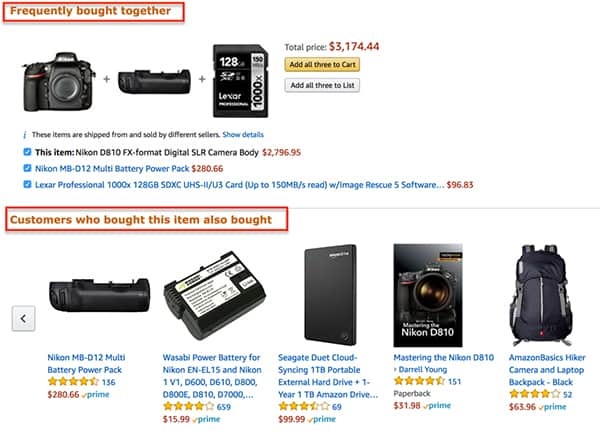 Regardless of your company or industry, the same high level concept behind Amazon’s infamous “customers who (blank) also (blank)” recommendation call-to-actions can be applied to identify cross-sell and up-sell opportunities through machine learning and predictive analytics. But, depending on your business, there are many different possible behavioral data points and sources that can be leveraged for this. Most of these are probably already hiding in isolated corners of your existing technology stack. When building behavioral customer segments for cross-sell, up-sell and repeat purchase opportunities, customer satisfaction is another critical factor to consider. If a customer has recently had negative experiences with your company or hasn’t been getting enough value from the products they’ve already purchased, this probably wouldn’t be an ideal time to reach out with a cross-sell or up-sell offer. Seriously, are you kidding me?! For a customer who may have exhibited past behavior that’s predictive of a cross-sell, up-sell or repeat purchase opportunity, not only can the likelihood of conversion dissipate after a negative experience, but extending an offer at this point in time can actually do even more damage. Leveraging customer behavior data and analytics, a customer who has encountered negative experiences recently can be identified and moved to a low-satisfaction customer segment which is temporarily suppressed from receiving certain promotional offers. This way, they can be targeted with other retention-focused initiatives to win back their favor and increase their satisfaction. 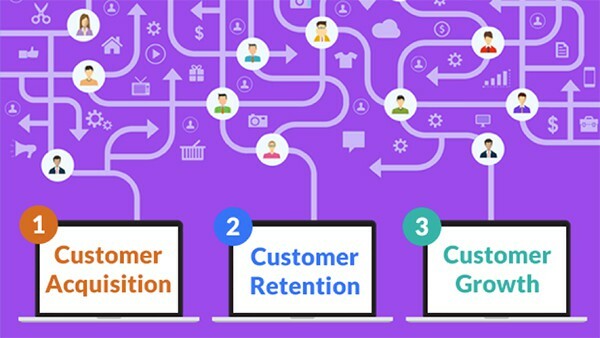 If those retention initiatives are successful, the customer might re-qualify for a cross-sell offer, at a much more opportune moment. Thanks to a wave of technological advancements in recent years, new behavior-based approaches to customer analytics have emerged, enabling organizations to discover valuable real-time insights about their customers and make smarter decisions, faster than ever before. These new advancements and approaches arrived not a second too early, as traditional analytics tools and methods have been failing to keep up with the pace, complexity and other demands of the modern world for years. One approach experiencing rapid adoption is customer journey analytics, which leverages customer behavior data to enable behavioral segmentation, customer journey visualization, journey orchestration, and journey-based metrics. With behavioral segmentation, by identifying customer behavior patterns that impact important KPIs, you can isolate common behavioral characteristics associated with customers that exhibit those patterns. Customers can then be classified into groups (behavioral segments) to gauge the potential business impact and determine the best engagement strategy for each group. Like Netflix, Amazon and Google before them, the most successful companies now and in the future will be those that best utilize insights derived from the past. Your customer’s behaviors can reveal valuable insights about your customers, your business, and the relationship between the two that you can’t find anywhere else—if you’re smart enough to pay close attention by capturing, analyzing and acting on customer behavior data. Have you leveraged behavioral customer data to drive results at your organization? We’d love to hear about your experiences!